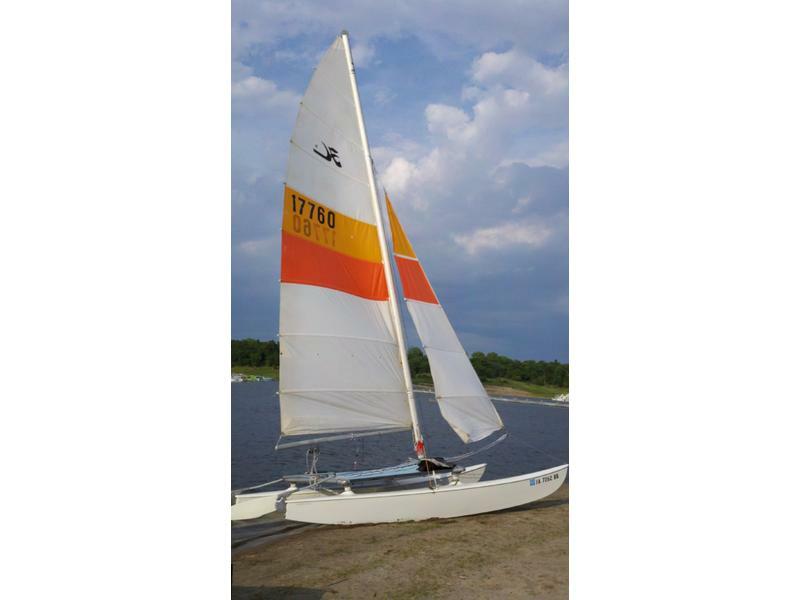 1976 Hobie 16 with 1980 SOLID hulls. Boat has original white, orange & red sails. 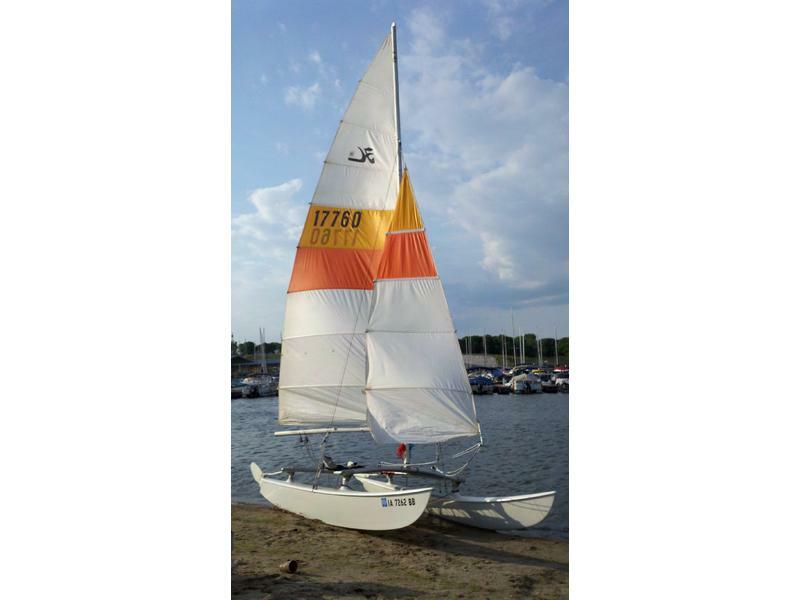 Sail number 17760. Rigged for single trapeze. 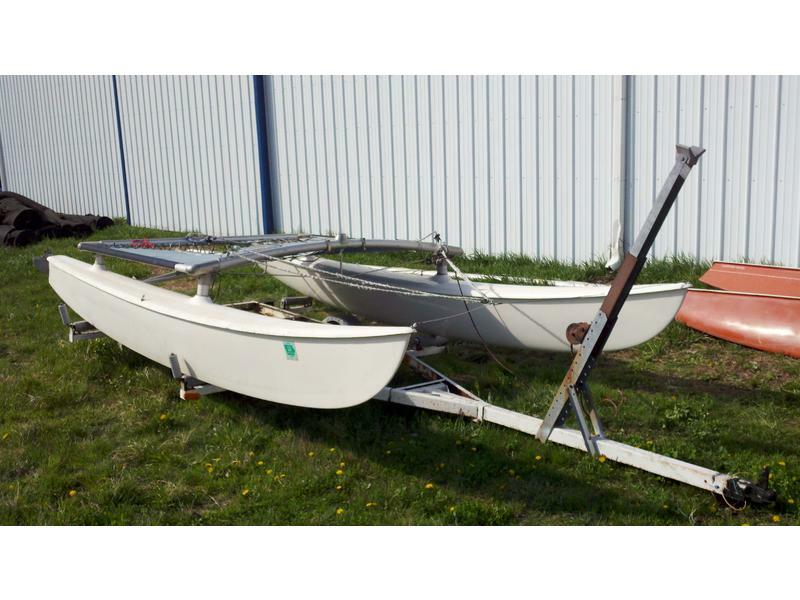 Comes with trailer, Hobie hotstick, Hobie bucket trapeze harness, Rudder Covers, Blue trampoline in good condition, and new running rigging. 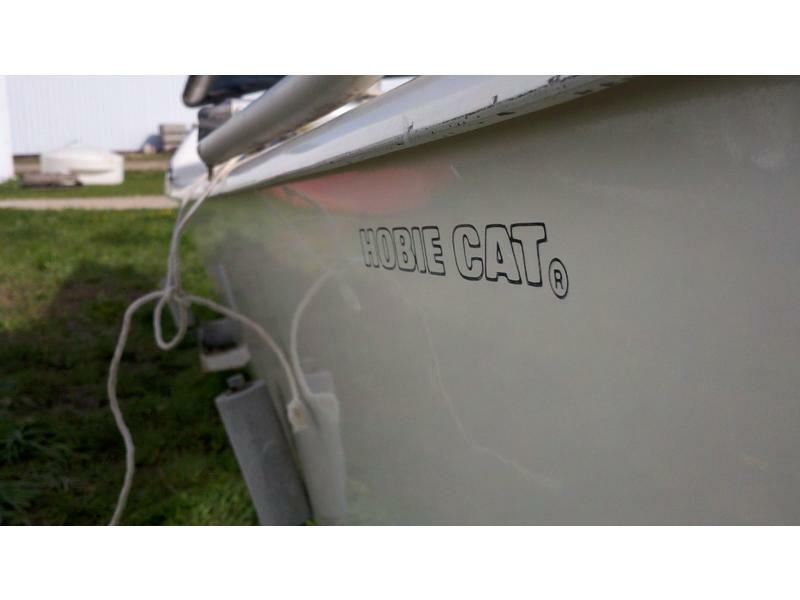 The boat is in overall good condition and has current Iowa registration through 2013.